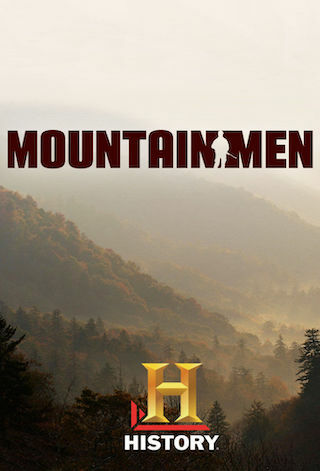 Mountain Men is an American 60 minute reality nature television series, which kicked off on May 31, 2012, on History and is broadcast every Thursday at 21:00. The show is currently in its 7th season. History has officially confirmed the renewal of Mountain Men for Season 8. The exact release date is yet to be announced so far. Sign up to track it down. Have you ever wondered what it would be like to live your life off the grid? Have you wished you could shed the complications of modern society and live in the wilderness, using only the things nature has provided? Meet Eustace Conway, Tom Oar and Marty Meierotto of the new History series Mountain Men, three men who have devoted their lives to survival in its simplest form. But how simple is it really for the Mountain Men? From the rugged Blue Ridge Mountains of North Carolina to the seven-month-long winters on the Yaak River in Montana to the frigid northern range of Alaska, the country is full of some very unforgiving terrain. Watch as these men face off against mudslides, falling trees, ravaging weather and even hungry animals, to make sure they obtain the food and supplies they will need to make it through the brutal winter months ahead. This season the stakes skyrocket for the men and women of the mountains as they all face major turning points in pursuit of their proud and independent way of life. Plus, one of the series most beloved characters says a final goodbye as he heads off to conquer new uncharted lands. Through all telecasts in its current season to-date, "Mountain Men" has reached 35.7 million total viewers in Live +3 delivery.